We had grilled Tilapa a couple of weeks before the news about the fish kill erupted, so this one’s safe to eat. Just to be on the safe side, know the kind of fish that are safe for human consumption, and be able to know the list of areas affected by the fish kill before you head out to buy fish from the local market. 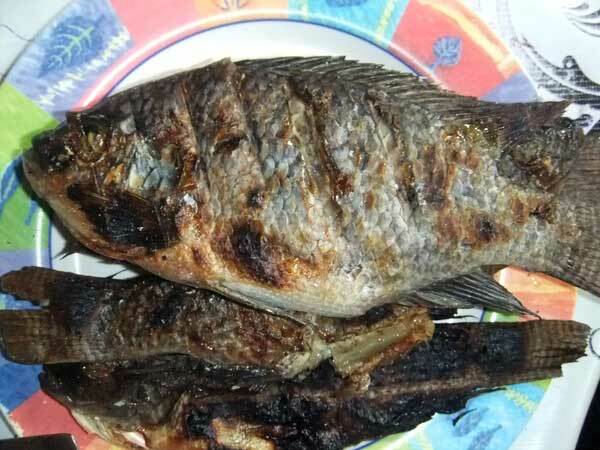 This entry was posted in Sea Food and tagged fish kill, grilled tilapia, St. Peter's Fish, Tilapia on June 6, 2011 by Yami. btw, what caused the fish kill?